sixty -something degrees and it felt amazing, all I wanted to do was curl up on the couch with my knitted blanket and a cup of tea. Not this past Sunday, but the Sunday before we headed up to Alexandria, AL to meet up with one of my all-time favorite people, our photographer Amy Sullins of Amy-Cole Photography! She took some photos for us and y'all, there is no one like her. If you're in Georgia or Alabama and looking for a photographer for weddings, family photography, maternity, engagement, etc. look her up! I'm totally obsessed with the shots she got, it's going to be difficult picking one out for our Christmas cards! Speaking of Christmas cards...I may or may not have already been looking at styles that I could potentially be using for this years. 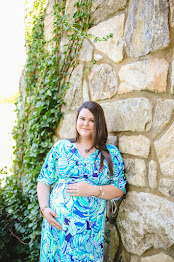 We typically use Shutterfly because they have a good selection and the price is always right, especially with coupons! These are just a few I've been looking at. . . I love the rustic vibe and the beautiful calligraphy-type lettering so much, it will be such a hard decision to make! 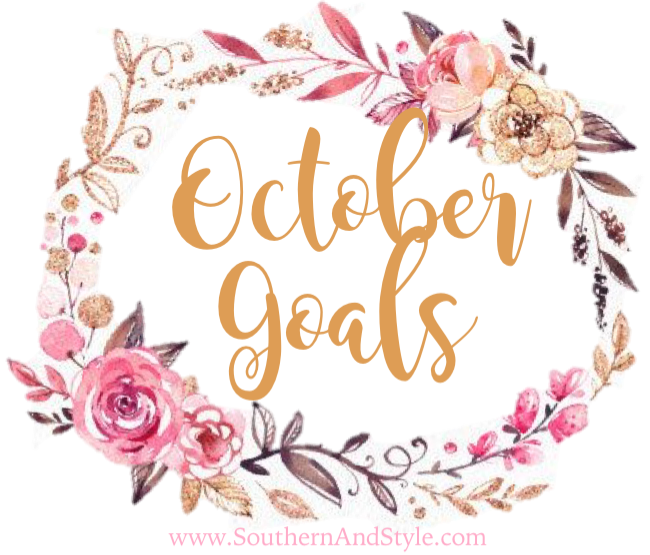 If you haven't checked out my post from last Saturday, I posted all about my October goals (as well as a recap of my September goals). I feel like the change of seasons is really when I hit my stride & want to be very productive, so we'll see how it works out for me this month! 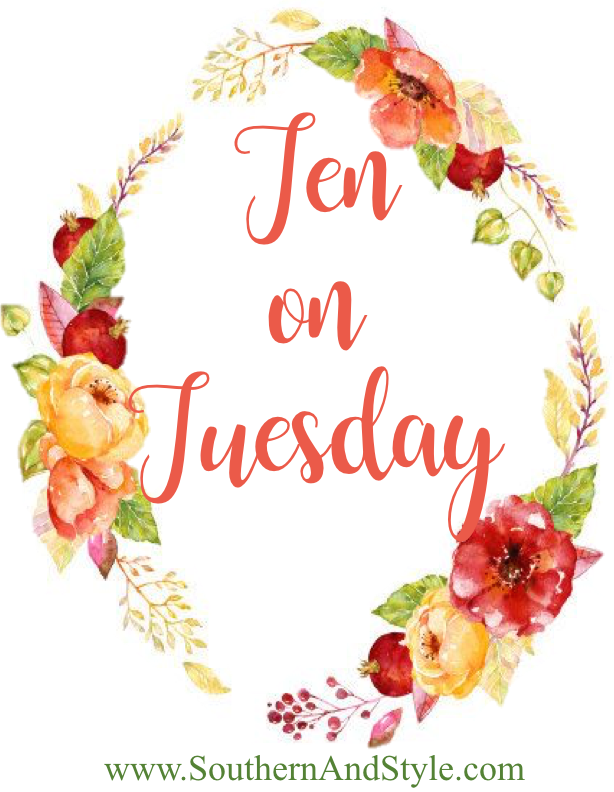 This may seem like an odd thing to include on this week's Ten, but if you've been reading here long then you know I this is a sort of "favorites" round-up. I change my sheets each Saturday (we have three sets that I change out) and this Saturday I put my very favorite set on the bed. They're this striped set from Target & when you sleep on them, they literally make you feel like you're in the most luxurious of hotel beds. I'm a member of Influenster (you can sign up here-basically you get free products to review, you don't even have to have a blog, just some form of social media!) and they allowed me to review the Wonderful Double Cleanser from Ole Henriksen and y'all, I have to admit I was a little unsure because of the price, but this cleanser is really good. It's gentle, yet still takes all of your makeup off and it smells incredible! I don't normally decorate for Halloween, just because the time period is so short and I would rather spend my money on Fall decorations...but I have found some super cute Halloween decorations, if you're decorating for the holiday! These wreaths are the perfect simple Halloween addition to a door, just make sure they'll show up! These are the simple type of Halloween decor that I love; Jack-O-Lantern luminaries, they're the perfect mix of cute, spooky, and rustic all in one. If you're having any type of Halloween gathering this banner is the perfect piece to complete your mantle. And here is where my love for decorating really shines through, in Fall decor! I love the idea of lanterns on your porch, as they can be used for many different seasons and adding in flameless candles makes for a very cozy feel. These even have a timer so they'll come on and turn off automatically! I love this doormat that is perfect for all of Fall! These plates are definitely more Thanksgiving themed, however y'all know my love for displaying dessert plates-so these are definitely on my wish list! Also, this isn't "themed" but in my search for Fall porch decor I discovered these door knockers and fell in love! We're in the process of having our doors and trim repainted & I think I may need to add these to our doors. Y'all, I am so rough on my sunglasses. I've had Costa sunglasses for the past few years and I have destroyed my last two pairs-sad face. So I recently purchased these sunnies and I love how they look, but when I'm working on the farm they're a little too "pretty" so I'm back in the market for some new Costas. I'm trying to decide between this pair or this pair...or both? Let me know which ones you like more! I don't want to ramble or get political here, but I do want to ask that each of you show someone a small act of kindness in the next few days, show everyone around you kindness. 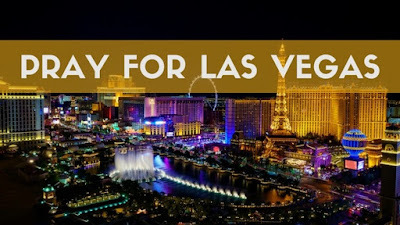 Pray for everyone involved in the Las Vegas tragedy and every other tragedy that has touched our nation and our world recently. That baby calf is so sweet!!! yes to more kindness..we need it! I love your Halloween decor picks! They're fun and festive without being too over the top. I always enjoy decorating for holidays, but it can be hard to find the perfect pieces! Anything that is holiday decor I'm all in! I also don't regularly do Halloween decor but this year I'm going all out with the pumpkins and wreaths. I love Ole Heinrichson, you mentioned that the product smells incredible. Can you please let me know what the scent is? Hi Lisa! Ole Henrikson describes the scent as black currant, I'll be honest-I don't really know what currant smells like but the cleanser has a light fruity scent which I find really, really nice and not irritating at all! All the prayers for Las Vegas in this world right now. My heart has been so heavy lately and it's because of all the hate in this world. I'm heartbroken over it all. Those sheets look so luxurious. I've been on the hunt for the perfect pair of cream ones so I may have to snag those. I love your fall photo in one, too! Fall family photos are on my bucket list for fall. Those sheets look amazing...I currently need new ones, too!